Cremorne Point - A Secret Lighthouse! 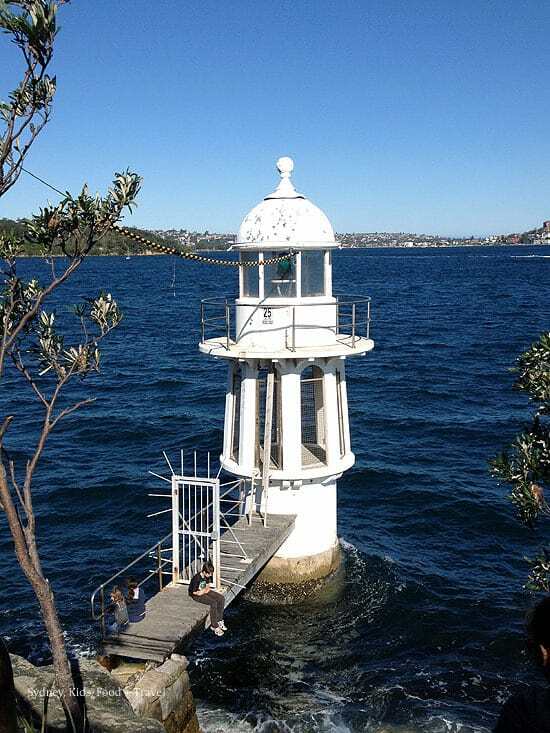 Home » Best Sydney Bush Walks: Find Fab Sydney Walks Here » Cremorne Point – A Secret Lighthouse! 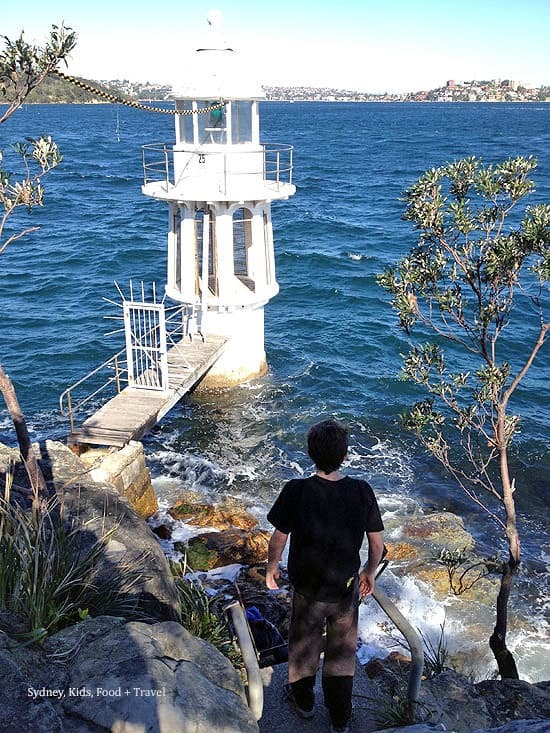 Cremorne Point – A Secret Lighthouse! We all love a lighthouse and why wouldn’t we? 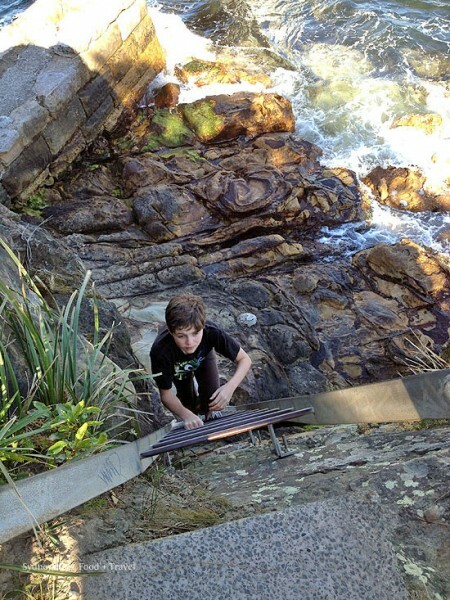 And there’s nothing like a little adventure by the Harbour. Here’s one to enjoy when your children have become sure-footed. The lighthouse is still active, it flashes green at night, every three seconds I believe, the same as the lighthouse at Bradley’s Head. 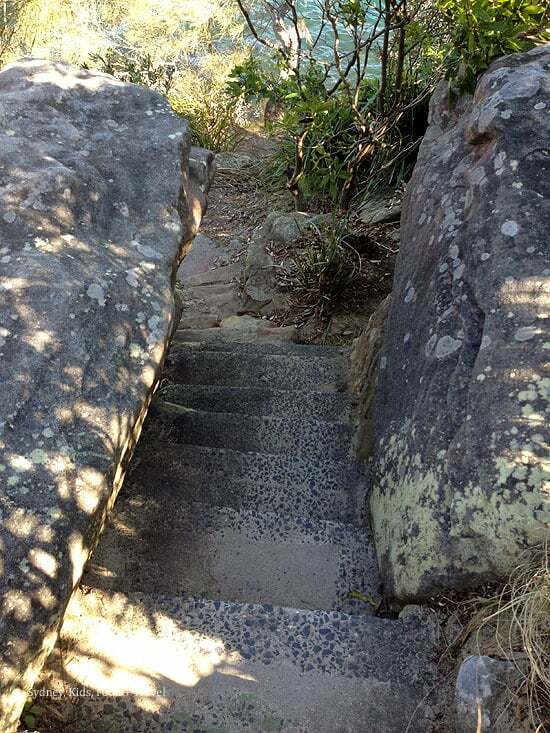 To get to it you need to walk along an easy path from Milson Road or Cremorne Road. The path passes toilets and a very pleasant little playground. Then you need to negotiate some stone steps and THEN a ladder fixed to a rock face. You cannot visit the lighthouse itself. But you can sit down there like my son is. And you can think about life, and the sea, and all the people who used to sail into the harbour long ago, and about lighthouses, storms and shipwrecks. Fantastic. I was happy to viti with Dexbox, who’s 13 and wily and sensible. I don’t think I’d take both twins at this stage, but when Rusty Rocket is a bit less of a rocket, we’ll add this little side trip to our visits to Cremorne Point. Don’t you just love lighthouses? The ballet on the ferry??!! That sounds magnificent, how gorgeous. Great Post Seana, I love that lighthouse. It’s actually where I proposed to my lovely wife. How romantic Jean-Claude! Thank you for sharing, how lovely.